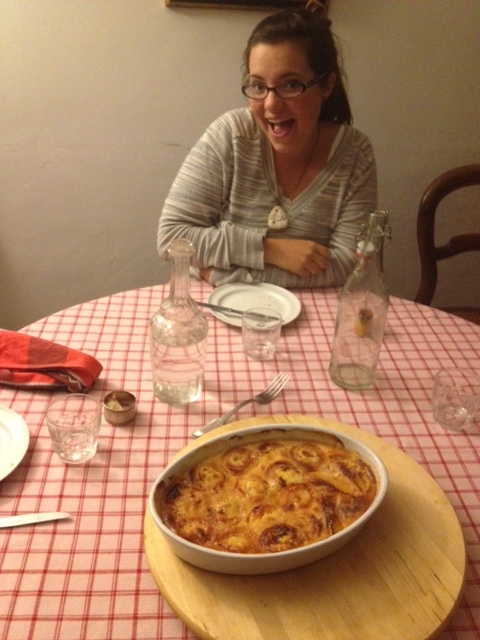 Here I am with our traditional French dessert we kinda helped made. It’s a very simple recipe that can be made with really any kind of fruit. Ours had both peaches and apricots. Wonderful. Previous Previous post: Are You There World? It’s Me, Margaret.